Follow the prompts to enter the new employee’s information. 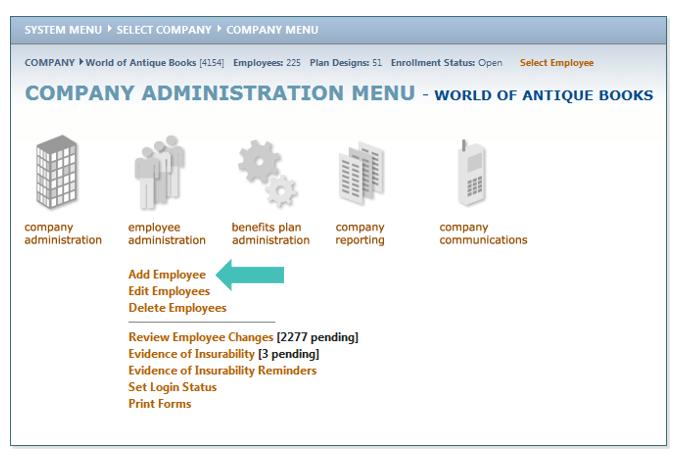 The employee can now login to the website and elect their benefits per company policy. TIP: Bolded fields on all pages are REQUIRED before you can continue to the next page. 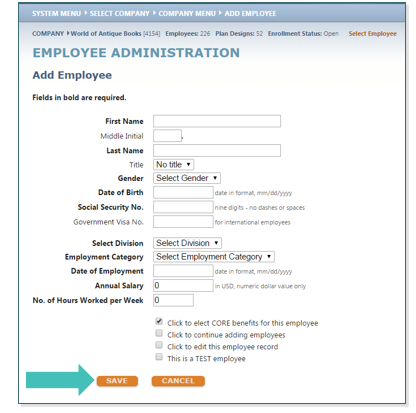 If the Employer offers Core benefits, check the box next to Click to elect CORE benefits for this employee. The EE will now automatically be enrolled in CORE benefits.